Join with Mez and Close to My Heart today! Are you looking for a crafting company to source your paper crafting products? Close to My Heart provides great products, great training, great community connections, great team support, and awesome support from our corporate office. 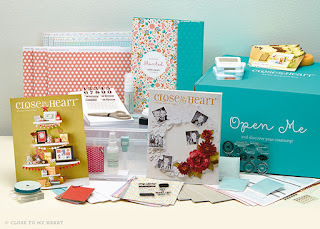 By embracing your crafty style, invite a few friends, it's so easy to show how to create scrapbooking, cards and many other paper projects with the products you receive in the newly released Consultant Kit. Start by clicking on the "Let's Get Started" and complete the form with required information, as part of your enrollment you will purchase the Consultant Kit for only $130. 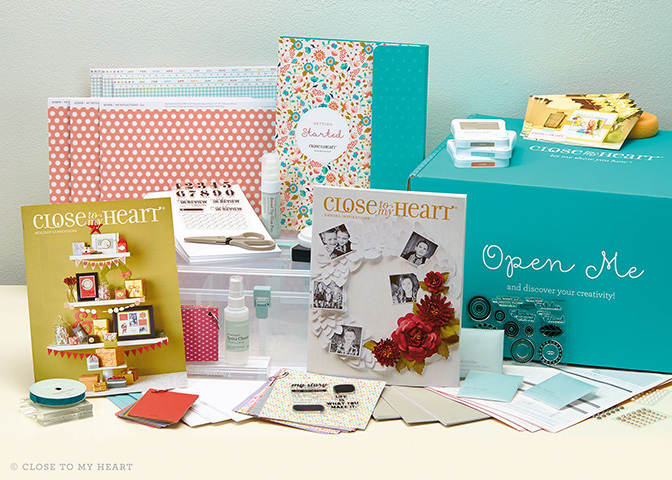 Your kit includes the basic business and creative supplies you need to start your journey and is valued at over $435. Join with Mez and Close To My Heart and discover all the wonderful rewards of being a Close To My Heart Independent Consultant. Are you a former Consultant? Re-sign during August the same email address from your previous Consultant account, you have the opportunity to pick from either a "business building essentials" version of the New Consultant Kit [the Essentials New Consultant Kit includes the Zoe Workshop on the Go Scrapbooking Kit, as well as order forms, Annual Inspirations idea books, Holiday Expressions idea books, a Paper Fundamentals sampler, B&T Duo sampler, Petite Perks stamp set] for $55. Or you may choose the regular New Consultant Kit for $130. Contace Me for more information, or click on the link and "Let's Get Started"